The juniors faced off against the seniors in the powderpuff playoff game. 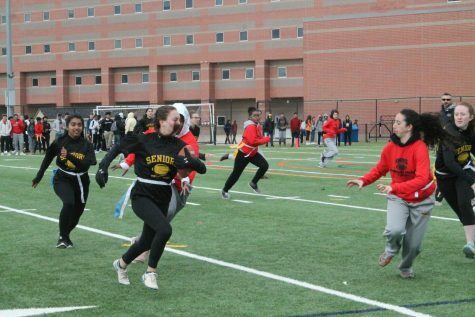 On Tuesday, November 20, the junior and senior girls faced off in the Powderpuff playoff game. The juniors defeated the freshman and the seniors defeated the sophomores to both earn a place in the final game. During the highly contested game filled with fast paced action and great plays, the juniors overcame the seniors in a 35-28 contest, taking the overall title. As the game started, the seniors immediately put pressure on the junior side with an offensive play. However the juniors remained resilient with their strong defense, forcing a turnover on downs while in the red zone territory. The valiant senior defensive effort was not enough to overcome the strong junior offensive plays, ultimately costing the seniors the game. 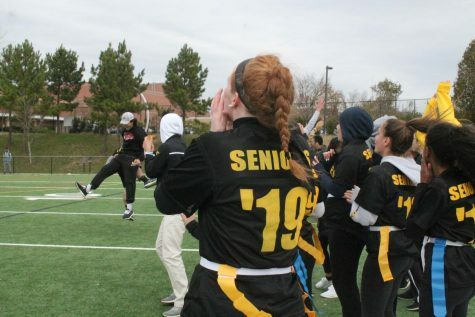 At the end of the game, juniors had scored a total of five touchdowns, while the seniors had scored four touchdowns. 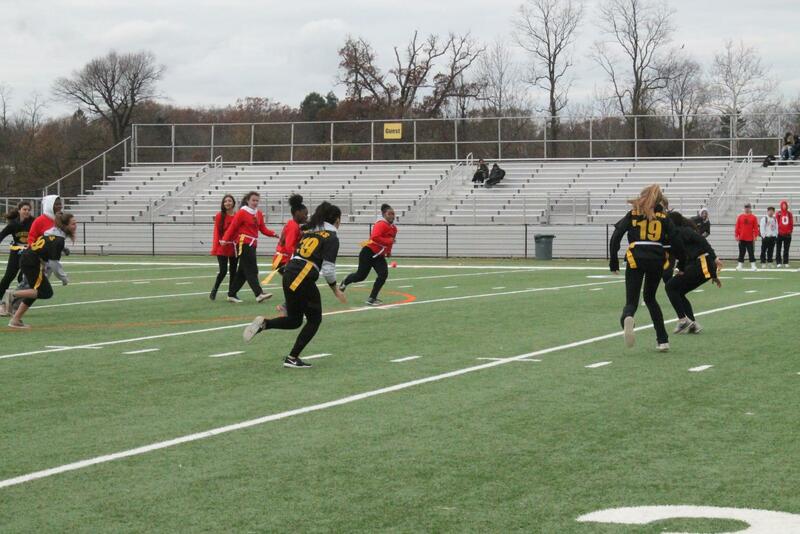 The juniors were led by Diamond Alexander and Helena Chang, who scored all five of the their touchdowns. The seniors were led by Clarissa Halpern and Aliza Phillips. “This year we really worked well as a team. Everyone had lots of fun while still trying to do well,” the senior team coach Mark Unger said. Powderpuff also allowed the girls to interact and make friends with people they normally do not meet. “It’s a great way for people from IB and non-IB to bond and to spend time together. All the practices we had brought us close together and it was great to be a part of the team,” San Sebastian said. All girls who played in the 2018-2019 Powderpuff games gained something from the experience. Whether it be developing new friendships or getting the opportunity to express their athleticism through football, the girls who played will always remember the good memories made on and off the field when looking back on their Powderpuff experience.